Hailed as the next-generation of automotive board edge connectors, the 314-pin connector from Yamaichi Electronics extends its MXM family for automotive and other demanding applications. The board edge connectors (BECs) were developed and tested specifically for automotive applications and were the first connectors for modules meeting the MXM and Qseven standards with 230 pins and a 0.5mm pitch, says Yamaichi. 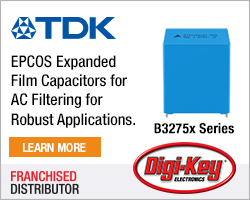 In 2013 a 230-pin high-speed version of the BEC for applications to five Gbits per second was introduced. 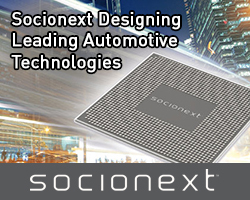 Today, MXM 3.0 allows for cooling capability, reduced power and height in embedded systems. 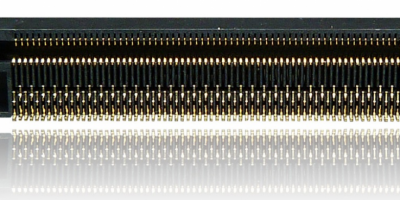 Yamaichi offers the 314-pin variant alongside the 230-pin high-speed version. Applications with an increased need for high-speed signal contacts are therefore also accommodated, says the company. For the latest design, the contacts have the characteristics needed to ensure a stable contact force even when subject to vibrations and shock, explains Yamaichi. The spring characteristic of the contacts also permits tolerance compensation and reliable data transmission if modules with dimensions close to the tolerance limits are used. The enlarged SMT tabs are used for the ground connection and for the SMT connection, along with the 314 contacts, to the motherboard. The robust connector is currently available with a 0.1-micron-thick gold plating in the contact area. Yamaichi Electronics produces test and burn-in sockets, connectors and connection systems. 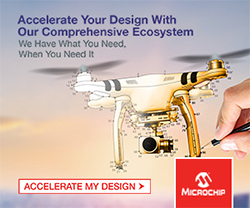 The company produces reliable components for demanding applications in various markets and applications, such as semiconductor, industrial automation, automotive, data networking, measurement and testing, medical, mobile computing and embedded computing.